Naturally, many vehicle owners get panicked whenever they experience an unexpected collision. Yet, you need to stop panicking and contact an expert company that can perform wrecker towing as soon as possible in order to ensure safety and minimize damages. In San Diego, Spark Towing is the most trusted company to approach. We have reliable technicians who can tow your vehicle safely and securely, with the use of advanced equipment and tools. We are available 24 hours a day in 7 days a week and we make it sure to respond immediately. In case you are troubled with your vehicle, just call Spark Towing to avail the services you need. We always give the best to our customers. We make it sure that the people whom we send to perform the wrecker towing services are qualified in doing it. These individuals are trained well and are experienced in their craft. As a fully certified towing company, we only employ licensed and reliable technicians who can perform well. These professional technicians have received the necessary certifications and they can tow any vehicle, no matter what brand or size it may be. We are open 24 hours a day in 7 days a week because we know that the need for wrecker towing may arise any time. As one of the premier provider of roadside assistance and towing services in San Diego, we make sure that we respond to your needs as fast as humanly possible so that you can continue what you are doing and you can have your vehicle repaired as soon as possible. Just give us a call and our customer service representatives will immediately cater to your needs. We would be glad to give you the best services in times of crisis. 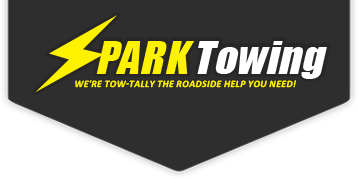 At Spark Towing, we provide our professional services at a reasonable cost. We make it a point that our customers will not have the burden to pay a big amount of money for their wrecker towing needs. Simply call us and we will provide the quote you need. We also do not ask more than the quoted price so there are never any hidden charges.